When Lauren couldn’t stop vomiting, Joan took her to the emergency room at St. Vincent’s Medical Center in Bridgeport, where she received fluids intravenously—“three bags,” Joan said. 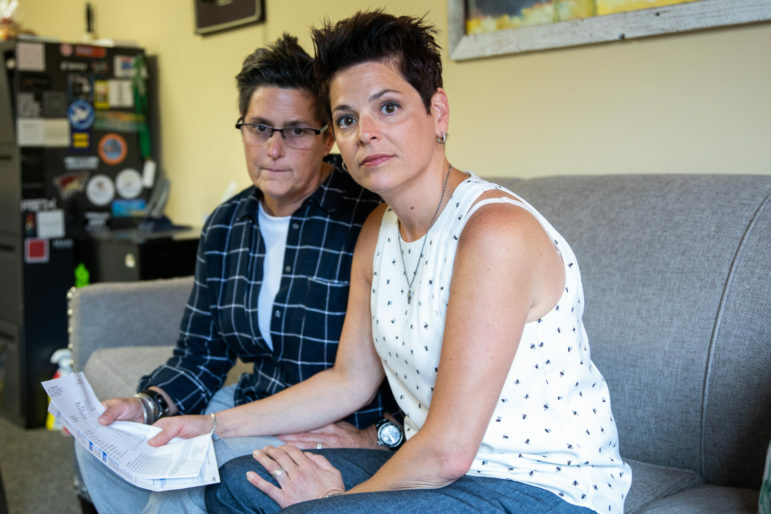 But the couple’s insurance company declined to cover the bill for $3,094 “because it wasn’t a medical emergency,” said Joan, who is still contesting the decision. Just less than a year ago, the Goldsteins had switched insurers because of a premium hike. Out-of-pocket health care costs for routine doctor exams, tests, blood work and emergency room visits, coupled with higher co-pays and insurance deductibles, are forcing consumers to make tough financial—and even lifestyle—choices. Lauren Goldstein (left) and her wife, Joan Goldstein, are fighting their insurance company’s refusal to pay a $3,094 ER bill. In interviews consumers said they are delaying medical procedures, withdrawing money from retirement savings to pay bills, cutting back on big-item purchases, and even putting off planned vacations. Data from 2007 through 2017 from the National Center for Health Statistics show enrollment in high-deductible health plans without Health Savings Account (HSA) among adults with employment-based coverage rose from 10.6 percent in 2007 to 24.5 percent in 2017 nationally. Enrollment in plans with HSA climbed 4.2 percent to 18.9 percent for the period. In stark contrast, enrollment in traditional, non-high-deductible plans plunged from 85.1 percent to 56.6 percent. According to the Kaiser Family Foundation, 50 percent of workers have health insurance with a deductible of at least $1,000, compared with 22 percent in 2009. “We’ve certainly seen an increased trend toward higher deductible health plans as a way to control increasing [business] costs,” said Ken Comeau, president of the state trade association CBIA Service Corporation in Hartford. State regulators, responding to how consumers have changed the way they manage their health and their finances, recently denied proposed rate increases. “In the past people were looking at just premiums. Now they have to look at deductibles and co-pays,” said Gerald O’Sullivan, director of Consumer Affairs at the Connecticut Insurance Department, which received 37 complaints related to ER visits for the first three quarters of 2018, compared with 34 in all of 2017. Of those complaints, 11 consumers questioned their cost shares and five complained about being denied coverage. One consumer received a “surprise bill” for an ER doctor who was not in the network covered by their insurance policy. Lara Herscovitch of Guilford, the former state troubadour, worries about the what-ifs. 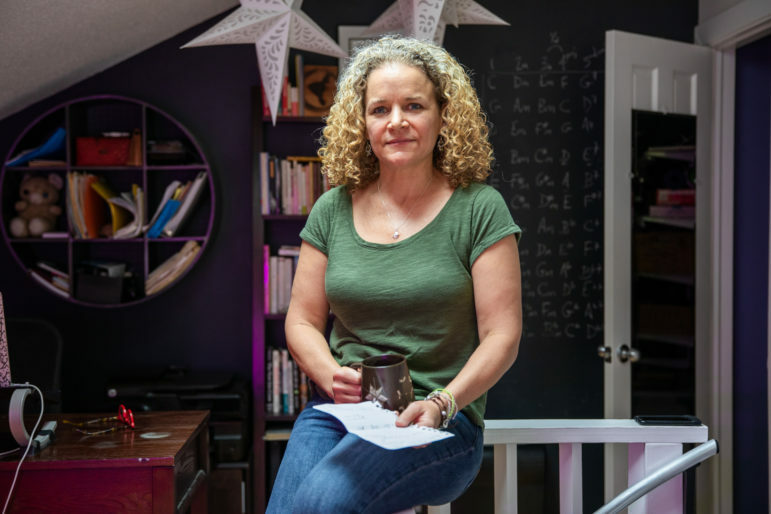 Her transition from a full-time employee working for nonprofits, to a full-time freelance musician has been “joyful, with one glaring exception—my out-of-pocket health care costs increased by more than 600 percent,” she said. Lara Herscovitch holds a list of medical out-of-pocket-expenses that total over $6,000. Herscovitch expects to end the year with $6,359 in out-of-pocket health expenses, including monthly premium payments for insurance, if there are no additional medical needs. She said she’s only been to the doctor once this year for her annual checkup. When she thought she might have contracted Lyme disease this summer, she chose not to go to her physician, waiting instead for symptoms to manifest. “Health care costs are eating into my personal and business costs,” Herscovitch said. “I’m able to make it work right now because I’m healthy. If I got sick, it would be very different. I love Connecticut and don’t want to leave, but all my musician friends rave about affordable health care in Massachusetts, which has me wondering if I should move,” Herscovitch said. In 2016 the per-capita out-of-pocket health care expenditure averaged $1,093 nationally. “That’s not an insignificant sum,” said Steven Lanza, professor of economics at the University of Connecticut. In comparison, up to 57 percent of Americans reported savings of less than $1,000, according to a 2017 GoBankingRates survey. The takeaway? Average Joe and Average Jane cannot afford to be sick. Others, like Jake Tedford of Tolland have incurred debt despite having private insurance through his employer. Tedford in June took a loan of $5,800 at a 5 percent interest rate against his 401(k) to pay off two previous ER visits for migraine, he said, as well as a shoulder surgery in March at Rockville General Hospital. Unexpected fees add yet another layer of costs already beleaguered consumers have to pay. Deborah Bax, 69, of Waterford has $53 debited monthly from her bank account to pay off a services fee of $948.75 charged by Lawrence + Memorial Hospital for an ER visit in June of last year. Bax, who experienced flashes of light in her eye, thought she might have a detached retina. But it turned out to be what’s called floaters or microscopic fibers. Bax had already shelled out a co-pay of $280 for her ER visit that included ophthalmology, an ER physician, radiology diagnostics and miscellaneous medical services, according to a copy of the bill obtained by C-HIT. She was shocked, she said, when she received another bill toward fee for services. In fact, according to new data from the Office of Health Strategy, hospitals levied an estimated $1.2 billion in outpatient facility fees between 2015 and 2017. To hear Sujata Srinivasan’s interview on WNPR.org click here.